Our team and board members are comprised of former refugees and immigrants. We work hard to ensure our vision and process are centered around the voices and needs of vulnerable people and refugees. Atif is served as an interpreter for his own refugee and immigrant family and graduated from MIT during the height of the Syrian refugee crisis. When the travel ban was announced, he left his job as a Product Manager to launch Tarjimly, an app that now helps thousands of refugees and humanitarian workers overcome language barriers globally. 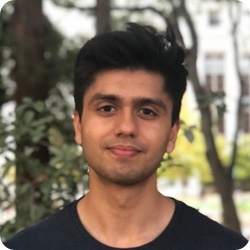 He was awarded Forbes 30 Under 30, SVBJ’s 40 Under 40, the Echoing Green Fellowship, the MIT Martin Luther King Jr. Service Award, and was featured in Forbes and TechCrunch after launching Tarjimly with Y Combinator. 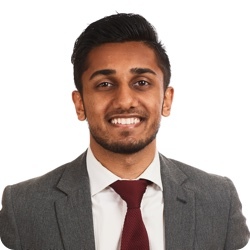 Aziz leads Tarjimly’s product development leveraging the latest technologies in communication and machine learning to increasing the efficiency of humanitarian services and global volunteering. Previously, he worked as a Software Engineer for Palantir Technologies in Silicon Valley enabling data-driven decision making in finance, aircraft manufacturing, and oil & gas. 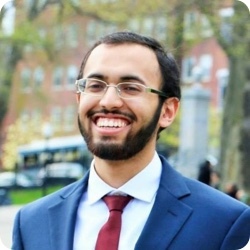 He received his Bachelors and Masters degrees in Computer Science from MIT, with a focus on Machine Learning. He is a Y Combinator Alum, Echoing Green fellow, and a Forbes 30 Under 30 awardee for Social Entrepreneurship. 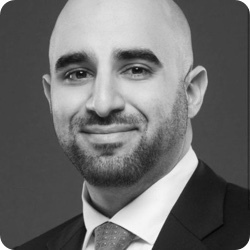 Fadi is heading up our Partnership & Strategy initiatives for Tarjimly, focused on increasing our presence in the NGO and CSR market, creating the right partnerships to help our platform grow, and looking at sustainability long term. 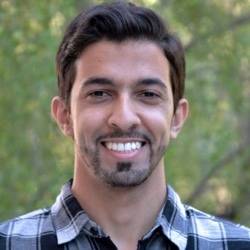 Fadi comes from a unique background having been in the nonprofit sector both at Teach 4 America along with starting his own nonprofit focused on stopping the stigma against mental health. 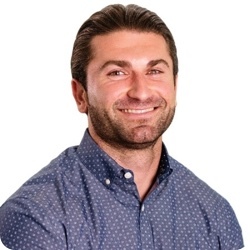 Fadi has also spent 5 years in the corporate tech sector in Sales, Business Development, Recruiting, and his last two years at Box as a lead for their CSR initiatives scaling out employee engagement. Uzma's expertise and passion is in storytelling. 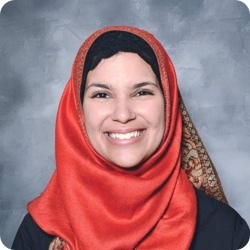 At Tarjimly, she's responsible for developing and managing communications about our products, community stories, partnerships, and the organization's humanitarian efforts. She's a seasoned PR professional who is constantly plugged into news cycles, and her speciality is in developing brand narratives, media engagement, social media strategy, and managing community outreach. She currently works at Facebook and previously spent five years helping both established companies and early stage startups with PR. Nadeen is a UI & Visual designer for Tarjimly, graduate of Simmons college, and brings years of freelance experience as a graphic designer. 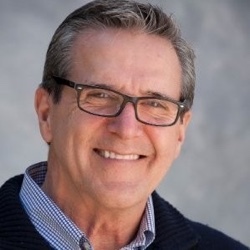 Don has been helping small nonprofits build fundraising systems and achieve specific funding goals for twenty years. He served as President of the Northern California chapter of the Harvard Business School Alumni Association and is now on the Association's Community Partners Leadership Council. 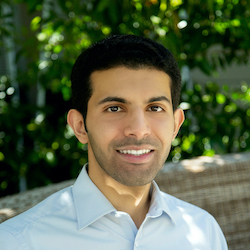 Abdul is an MIT graduate in Computer Science and systems engineer at Facebook who built Tarjimly’s infrastructure and manages Tarjimly’s software services. Abdul built Tarjimly’s first calling service. 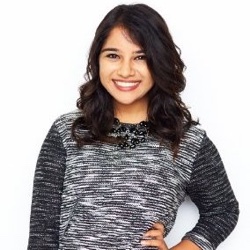 Simal has a degree in Finance from Cal Poly Pomona. He oversees the metrics and analytics side of the Tarjimly mobile application and is passionate about improving user experience through data. 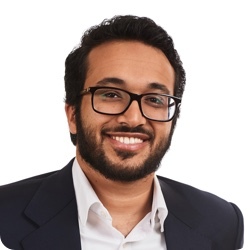 Saud has a Master’s degree from Stanford and using his experience from autonomous vehicles, he leads data science efforts to improve the systems and algorithm that deploys thousands of volunteers remotely every week. 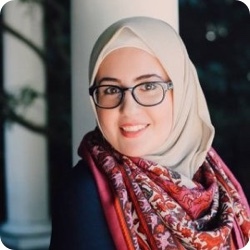 Nour graduated from UC Berkeley with a degree in Materials Engineering and manages the product deployment process for Tarjimly. Engie is a Doctor of Pharmacy candidate at UCSF with a Bachelors in Global Health from USC. She is passionate about increasing access to affordable healthcare internationally and sees language access as a major component. 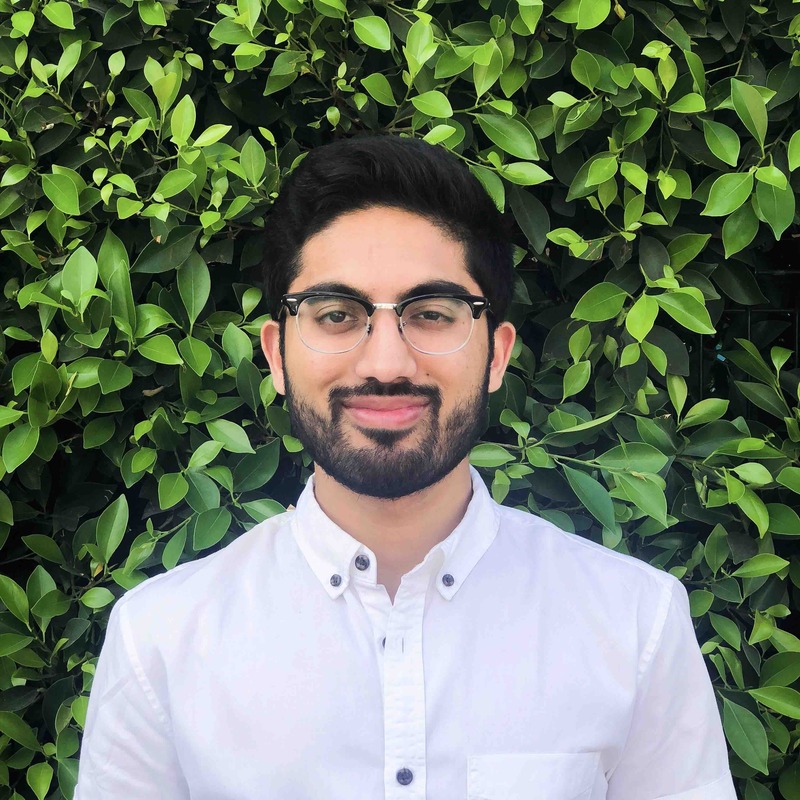 Ahmad is a student at UC Berkeley majoring in Computer Science and has helped design and build Tarjimly's new web platform. Abubakar serves as Tarjimly’s President overseeing strategic direction as a nonprofit. 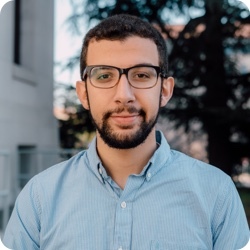 He is a PhD candidate and Soros Fellow at Stanford university with a focus in machine learning. He is published in Nature and worked on Tarjimly’s first matching algorithm. Yamen is a partner at Olive Tree Capital that was instrumental in Tarjimly’s founding and research. He holds an MBA from MIT Sloan School of Management, is a World Economic Forum Global Shaper, and worked with the BMG Foundation for 10 years.